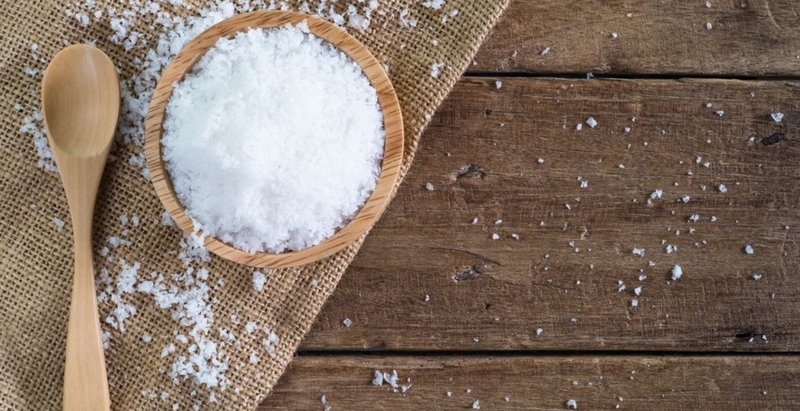 Traditional treatments and age-old practices are influencing the beauty world more than ever. Despite the current trend towards organic ingredients and “natural” beauty products, most of the lotions and potions we use on our hair, skin, and nails still come from a lab. Which, of course, is mostly great. After all, modern science is pretty incredible, and who doesn’t want to reap the magical, anti-aging benefits of concoctions that have been carefully studied and specially formulated for maximum results? With the abundance of new and improved commercial products available at an ever-increasing rate, it’s easy to forget that throughout the course of human history, most people got their beauty fixes the old-fashioned way: from fruits, vegetables, and minerals that came directly from the earth—no millennial pink packaging or influencer-endorsement required. For centuries, information on the benefits of specific ingredients and regimens have been passed along from generation to generation using a mix of anecdotal evidence and folk knowledge. Often with a nature-to-body approach, these traditions eventually became the tried-and-true skincare rituals that permeated ancient cultures. Fortunately, many of these practices are still in existence today. And as a new generation of curious travelers seek richer experiences from the places they visit, a lot of these rituals are enjoying a resurgence in popularity. To keep up with the demand—and offer guests a stronger sense of place and culture—more resort spas are incorporating elements culled from ancient and local traditions into their modern wellness rosters. 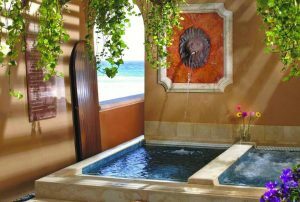 Take, for example, the spa at The Ritz-Carlton, Cancun (pictured above), which has developed an entire roster of services that draws upon the medicinal plant knowledge of the native tribes of the Yucatan. “We created treatments inspired by the Mayan culture and use natural and local products made in local Mayan communities,” explains Alejandra Bustamente, the spa’s assistant director. “By mixing nature, human touch, and expertise, we’re able to offer our guests a holistic journey to rejuvenation, aided by unique ancient elements and the sound of the ocean waves,” she says of the seaside spa. Many treatments at the spa are embedded with mystical ceremonial elements as well: an energetic cleanse using copal incense, which has a fragrance similar to palo santo or sage, is performed at the start of some services, and guests are often presented with a wooden necklace made by local Mayan artisans at each treatment’s end. Sea shells, which were used by the Mayans as trading coins, are incorporated into massages and said to release nourishing minerals into the skin. Each treatment also involves one or more traditional Mayan skincare ingredients. Below, a look at a few of them, along with their purported benefits. 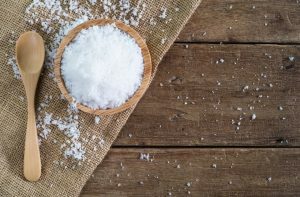 “It’s perennially popular these days, but it’s actually been used since ancient times thanks to its high concentration of vitamins, antioxidants, and unsaturated fatty acids that penetrate deep into the pores, leaving skin moisturized, soft, and smooth,” explains Bustamente. Turns out the classic relaxation trick—placing cucumber slices over the eyes—has real benefits, thanks to vitamin C, caffeic acid (which fights inflammation), and silica acid, which is said to help firm sagging skin. “Cucumber calms and soothes, and is helpful for sunburns too,” says Bustamente. The ancient Mayans were experts at cultivating this rare honey, which is only harvested once a year from the hives of stingless bees. It has antimicrobial, antioxidant, anti-inflammatory, and anticancer properties and is said to accelerate healing. “It’s one of the Mayan treasures, used not only as a valuable sweetener but for its regenerative properties,” explains Bustamante. No one does “less is more” better. Missed the exhibition? We’ll fill you in! Prince George and Princess Charlotte look so adorable!